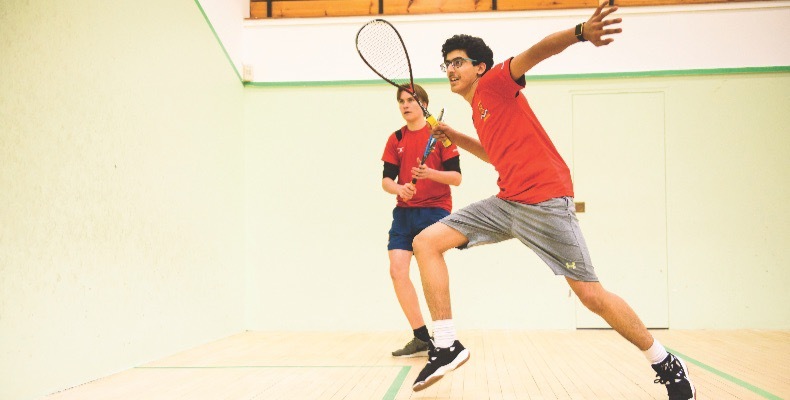 Sport has been central to life at Felsted for a long time, and team sports offer a great opportunity for learning and developing important life skills. Supporting your friends, coping with failure, teamwork and losing with dignity (or, indeed, winning with humility) are all encouraged when sport is played in the right way. Of course, sport also helps to support a healthy lifestyle and studies are showing increasingly that it is a key support to good mental health and wellbeing. For these reasons, and many more, sport is part of every child’s experience while at school. But, when the pitch is not on home turf, the learning can be all the more life-changing. A tour enables students to have a time dedicated to their sport of choice, in a way that term time rarely allows. It brings together a group of young people in a close team environment, where they are dependent on one another and it forces them to step out of their comfort zone, facing different challenges and experiencing different cultures at the same time. At Felsted, students as young as 12 are invited to travel the world to play sport. Not only do they pack their kit for rugby, cricket, hockey, netball or tennis, but they take with them the honour of representing their school and, to a certain extent, their country. Our teams regularly cross the continents to clash with their counterparts in Australia, South Africa, even Barbados and the USA. Tourists in both senses of the word – moving from place to place to play the games they love and at the same time soaking up the culture of a foreign land. The best tours will give young people a real experience of life in another country, not just on the field of play, and should be seen as a cultural adventure as much as a sporting one. These are experiences that are impossible to replicate at home. Our boys and girls meet young people who are like themselves in so many ways, and no less talented with a bat or a ball, but their lives away from the field of play may be so very different. The memory of a hockey tackle or a few overs with children in the township of Langa or on the streets of Mumbai are indelible. It is this opportunity to deepen understanding and respect for others that promotes in our young people an outlook that is truly global – compassionate, caring and responsible. Friendships are forged with opposition and team-mates alike. When the final whistle blows, our squads don’t only head back to their hotel rooms, they are often billeted in the homes of their opponents, welcomed into the host family to find out what normal life in this country is really like. The common bond of sport means the conversation never runs out and there are always anecdotes to share. It’s also a chance to bond with the buddy you’re staying with, to stick together in unfamiliar surroundings and to make connections for future life. Although many of our students are boarders and think nothing of staying away from home for a week or more, those who are day students appreciate the chance to spread their wings and develop their independence. The support of friends, old and new, can be invaluable and a whole new community is formed as the squad progresses from venue to venue. Shared experiences are central to this. Learning to surf together on the beaches of New South Wales, drumming with township children in Africa, swimming with turtles in the Caribbean and being taught about the conservation of elephants in Cape Town; these moments will be remembered for a lifetime. There can be much to discover on the field of play too. It is amazing how the same game can be played so differently and, from the competitive nature of the cricketers in Australia to the physicality of netball in Barbados, the techniques and skills of players of other nationalities can be eye-opening. Quickly getting the measure of the playing style of a succession of opposing teams can be a challenge and one which will only sharpen the school’s squad for future fixtures. The consolidation of a side through a tour will certainly help teams to enjoy greater success back home in the UK. Indeed, the intensive competition of playing a match a day or every other can give a real boost to players’ skills and confidence. With so much experience packed into a short space of time, a season’s worth of improvement can easily be achieved on one tour. The squad can return with a raft of new techniques for higher-quality play, the ability to read the opposition, the improved fitness and stamina to give their all, and the team spirit to carry them right through to a successful season. Having just returned from a cricket tour to Pakistan, I can vouch for how much of a learning experience a tour offers, with an insight into a fascinating country, with a remarkable history, alongside seeing a huge level of enthusiasm for cricket among the population. The best tours will always be more than just about the sport, and as with all global travel, should be directed at broadening experience in every sense. For staff, who take these tours, noting how their charges adapt to life in another country and handle the emotions of competitive game play without the usual support network of house – or actual – parents can be telling. Insights into each individual’s character are of great importance both on and off the pitch, and inform the coach or teacher’s approach when choosing the techniques most likely to bring out the best in the individual. 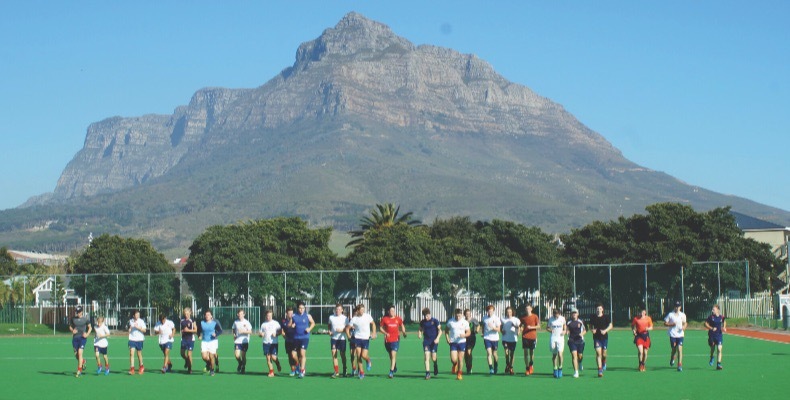 Knowing every member of the squad – or the class – well is intrinsic to the success of the holistic education we strive for at Felsted; sports tours abroad are one more way to put this approach into practice.